Test your smarts in an entertaining TV game show atmosphere with TV Show King Party. 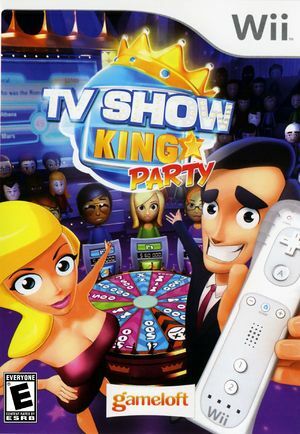 Following up on the successful Wii Ware game with new questions, features and more fun, TV Show King Party delivers innovative fun for players of all ages and families by featuring thousands of trivia questions in eight categories ranging from Music and Movies to History, Sports and Science. There are four multiplayer modes to vary the challenges and a variety of ways to use the Wii Remote within the three different quiz modes. Test your luck by choosing to spin the fun game wheel that risks losing everything or double your gains. The graph below charts the compatibility with TV Show King Party since Dolphin's 2.0 release, listing revisions only where a compatibility change occurred. This page was last edited on 13 January 2018, at 15:23.